Boost your Ranking and Visibility on Search Engines – Increase Traffic, Leads, and Sales! Whether you’ve owned your company for 2 years or 22 years, if you’re not Optimizing your website for the search engines to index, you might as well not have a website at all. If today’s businesses or professional offices want traffic to their website for sales or leads, they MUST do SEO to make sure consumers can find them online. Through SEO, we can help you reach your target market to increase sales and leads. You may have wondered, “Why in the world is my competitor ranking number 1 on Google and I’m not”, “How did they do that”? Well, that’s what SEO will do for you. Search Engine Optimization is the process of marketing online to improve the ranking of your web pages on search engines. Instead of marketing to the public, you are enhancing the branding of your website to the search engines, which moves it up in ranking results for online searches. These are known as “Organic” search results. Search engines look for the one website that stands out as an authority for keyword related searches to rank as number one. The more information you have indexed online for specific keywords linking to your website, the more likely the search engines will find you as an authority and rank you higher. SEO involves the application of complex guidelines and adept techniques in the design, architecture, content linking, coding and promotion of your website. It starts with extensive, intelligent research on the best search queries or keywords your target market searches in Google. There is a great deal of time and hard work involved in this process. Time you do not have when trying to grow your business. Why do you need SEO today? The longer you wait, the more difficult it will be because more and more businesses are learning SEO is the best way to get ranking results. You need leads that can convert to customers. Multiple surveys show that SEO ranks highest as a source of leads (94%). Following closely behind is Social Media (85%), emails (79%) and blogs (68%). Studies also show that the level of SEO is directly proportional with the conversion rates they get. Businesses doing only trial or basic SEO gets 2% conversion rate compared to those doing a more advanced and long term SEO with a much higher 10% conversion rate. You need an SEO campaign to improve your rankings, which will generate leads and sales to grow your business! Is it possible for a new website or one that is ranking well beyond page 40 or 50 to move up and compete with the top results, even gain the coveted number one position? Absolutely!! Why do we talk so much about Google? Currently 91% of consumers online, use search engines frequently with Google taking a commanding 66.80% market share. Online Equity Builder’s SEO methods adhere to Google’s recommendations. Google and other search engines hate “black hat” or dubious optimization efforts like keyword stuffing, cloaking and spamming. Unlike other agencies, we use “white hat” strategies. In fact, with 500 to 600 algorithm changes per year, our methodologies abide by all the latest algorithm updates by Google, such as Panda and Penguin updates. We can help you dominate the Google search rankings! However, we also focus on Yahoo and Bing. A well optimized website will rank high with all three top search engines. We make sure that the effort we put into your SEO campaign is focused on returning optimal results, and so we identify target keywords by performing keyword research and analysis. This will also include analysis of your current rankings, as well as that of your competitors, using specialized software and manual assessment. We set up your social media accounts as well as off-site blog accounts for strong social signals, as well as content and freshness signals. 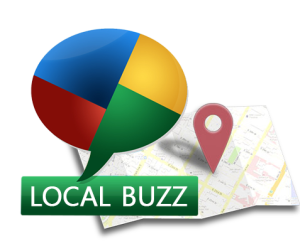 We list you to the top business directories and press release sites for more visibility and quality back links. We set up your Google + authorship and publisher markup tags on your blogs for good Google + signals. We upload blog articles from you, categorize and tag them as part of optimization to ensure that if your content is ever duplicated, you will not be penalized by Google. We perform optimization of all on-page elements, including page titles and meta tags, header tags, content; keyword usage in content, links and anchor texts; as well as URLs and navigation, and XML sitemaps. We also integrate and install Google Webmasters and Google Analytics. We provide on-page and off-page content generation such as, press release writing, company updates, industry news, sales promotion content and custom content; optimized with the correct application of links, anchor texts and keyword usage. Users like valuable content and so search engines put much more weight on content in their algorithms. The more useful the content you have on your web pages, the higher your web pages will rank on search engines. We distribute generated content through social networking and social sharing platforms, off-site blogs and press release publications if applicable. 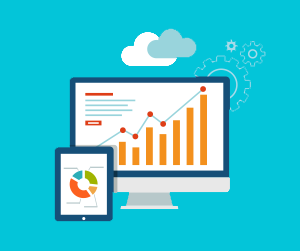 Combining both manual and software intelligence, we will examine your competitors’ back links. These back links will undergo analysis to determine the quality and probability of link building opportunities. This includes page load, image, static content cache, global content delivery network and mobile user optimization. Security measures include static content up-time security, SSL encryption and optimization, comment spam, malware and content scraping protection. a consultation to discuss your best SEO strategy. 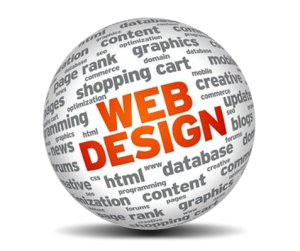 You can also call 706-306-9285 if you need more information about our SEO services.